Despite starting off dangerously close to camp territory thanks to a resurrected road-kill, Train To Busan shakes off any silliness to provide one of the year's freshest and engaging takes on the zombie genre. In South Korea, there's a crisis - amid concerns of foot and mouth inside a quarantine zone, trouble's brewing. Thanks to a "tiny leak at a biotech district", chaos soon reigns and the region is over-run by a zombie virus, turning the masses into rabid feral biters, determined to take down anyone and anything in their way. Unaware of what's happening, Sok-Woo (Yoo Gong) is trying to get out of spending time with his estranged young daughter Soo-an (Soo-an Kim) because of work pressures. Separated from his wife in another district, Soo-an simply wants to board the train to Busan to go back to her mother, after her father failed to attend her recital. Motivated by guilt, the pair board the KTX bullet train heading for Busan. 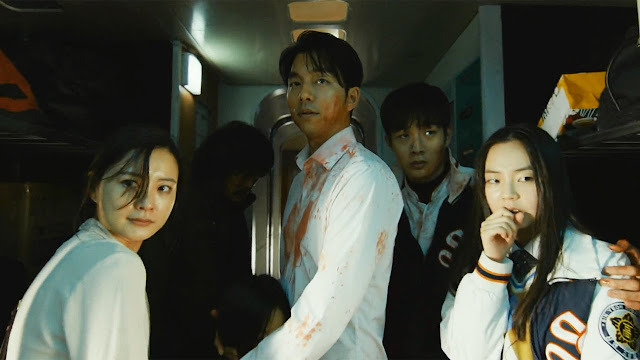 Full of other passengers, the train suddenly becomes a killing field when one of the infected ends up on board at the last minute - and soon father and daughter, along with a clutch of other groups, are desperately struggling for survival as society breaks down around them. It's rare to get a film that offers a fresh take on a tired genre. 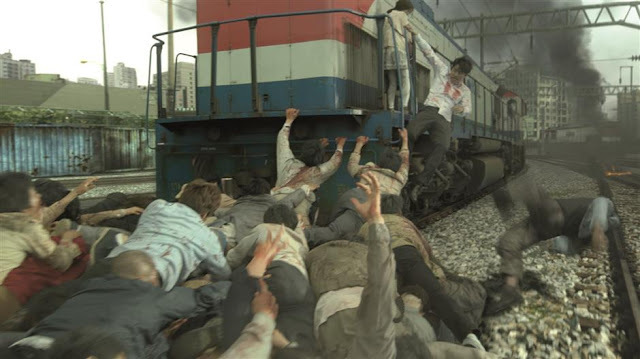 But while Train To Busan, with its fast-knit horde of speeding infected may owe a debt to World War Z's scrabbling horde, it's thanks to Sang-ho Yeon's direction and some thrilling action sequences that this is a train well worth boarding. As the eerie build up begins and glimpsed shots of varying elements of carnage play out just off screen, the sense of indiscriminate panic begins to pile on a level of suspense that's palpable. Granted, some of the players in the train (a group of jocks, a pregnant woman and comedy partner, a villainous COO) are clearly a little blank canvas, but what the film manages to do is make you connect with them as the atmosphere builds up. Nowhere is this more obvious than the relationship between a selfish father and selfless daughter as they awkwardly reconnect, and the pair sell this worn out trope well. One of the more crucial scenes sees the dad telling his young daughter in such situations as this, to look out solely for herself. It's a shocking moment but one that speaks volumes to how frank and refreshing Train to Busan is. With its contorting faceless infected, Train To Busan's action sequences are taut and exciting; from the confines of the train, a station stop to the final train yard showdown, the film's MO is one of edge of your seat emotional action. It's admittedly Snowpiercer crossed with 28 Days Later, but that's no bad thing as the film speeds as relentlessly as the train does to its destination. Sure, there are some societal commentary moments thrown in (the father is a fund manager and his main nemesis is a slimy COO, a rich vs poor allegory hanging in the midst) but the simple MO of Train To Busan is to proffer frights, scares and emotional centres. 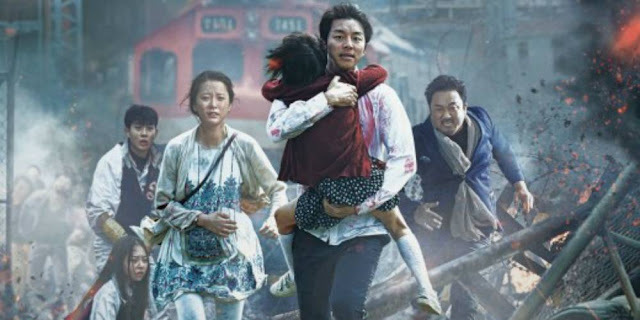 With a relatively unknown cast on these shores, it's an added frisson of thrills to wonder who will be picked off and thanks to the pace, tone and stakes for all, Train To Busan emerges as one of the best films of the year - and one well worth getting on board with.